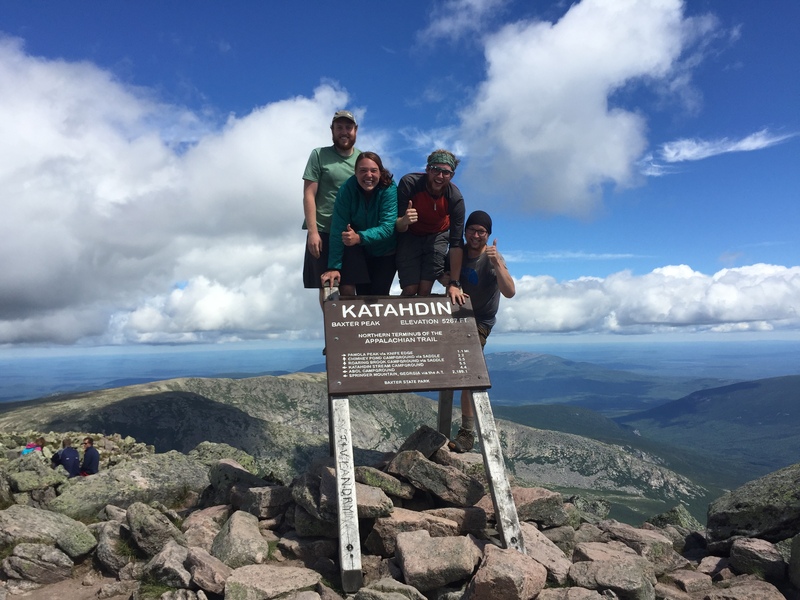 It’s been almost a month since I have summited Katahdin and being that it is the 100th birthday of the National Parks, I figured it was time to attempt and organize my highly disordered thoughts about finishing the trail and being off trail. 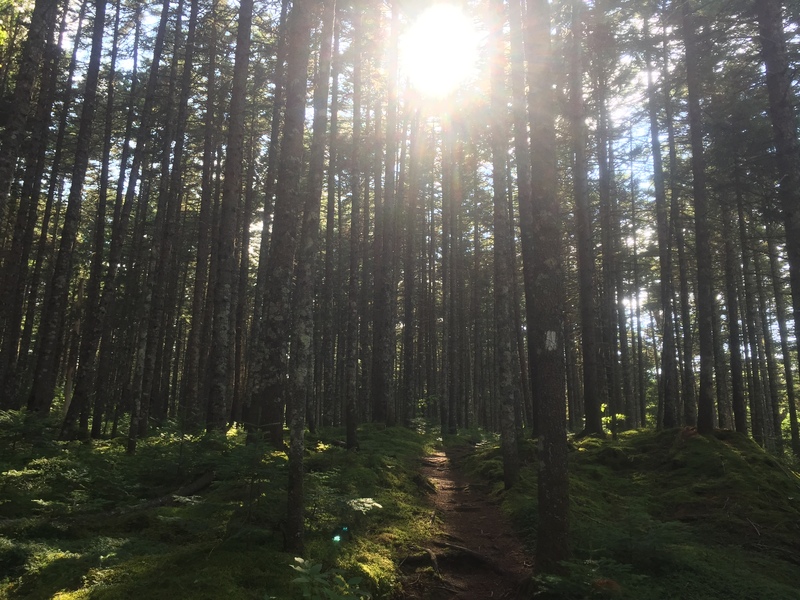 Before I start please let me be clear – I am internally struggling with what it means to be off trail and what it means that I have hiked the trail, so any writing that you may read might seem discombobulated and scatterbrained – my apologies. The pine trees and mossy surface reminded me of Michigan and felt like home. Let’s begin with the end – what did it feel like to finish? People often ask me this and I can’t help but respond by telling them that it was every emotion you could possibly have at one time – it was like being a middle schooler all over again. When I reached the summit with my brother I was overwhelmed and also really confused on what to feel and do. 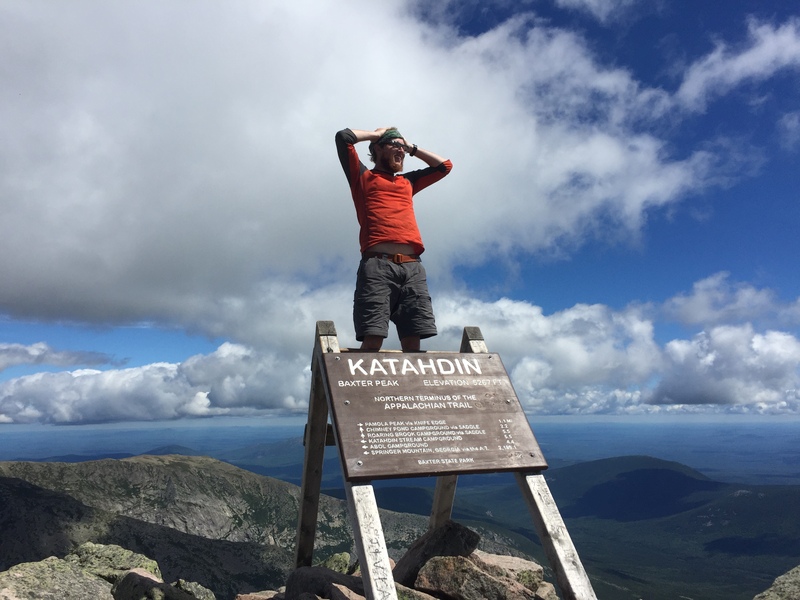 Instead of posting a picture of how excited I was to be on the top of Katahdin, I opted to post a picture of me looking rather stunned. I felt it reflected my current emotions and feelings much better than the overly happy pictures I also took. After making a short vacation of our trip back to Michigan, I was home. When we were driving through my hometown everything looked the same, nothing had changed. My room was left basically the same way when I left. My car looked the same. My parents even looked and sounded the same. Nothing had changed. I felt like going home I was entering back into this universe after spending 150 days in an alternate universe where the only proof I have that I was there is some pictures, videos, and journals. The AT really felt like a dream. More on that. Of course, when people see me they ask, “how was your adventure?” I still don’t know how to answer this. Usually I say, “good”, mostly because it’s about all I can come up with. How else would you summarize something that feels like it was one of the most crazy experiences of your life that didn’t happen and was all a dream? 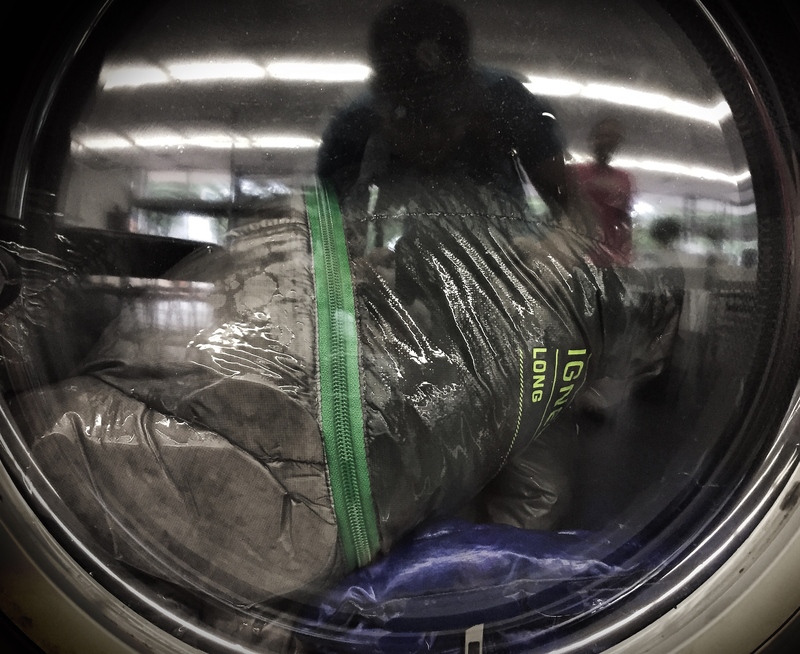 Cleaning my down things – happy to report the smell is gone! Saturday I leave for Seminary and like when I left for the AT I am both excited and apprehensive. I know that no one will be able to understand or relate to my all of my experiences in the last 5 months, but as a great friend reminded me last night, “God doesn’t waste anything.” So even though part of me wonders how God will take the experiences that I had on trail and use them for good, I know that in the end all is working together for my good. Thank you so much to everyone who prayed for me. Gave me a ride into town. Though of me. Laughed at my writing. Provided so I could walk. Gave yourself so I could live. Thank you so much for sharing your experiences, feelings and thoughts with us. An incredible journey. This wasn’t scatterbrained at all, in fact I think you summarized the experience beautifully. What you’re experiencing is very common. Congratulations on the accomplishment of a lifetime, Pen-Dexter. And thanks for letting us follow your journey. I find this a fascinating topic — the long-lasting impact of the trail. I collected observations from a few thru-hikers and posted an article, Outside for 5 Months, on http://www.Trailiac.com. Thank you for sharing your insights Pen-Dexter. Sounds like you are still processing this adventure. I think that’s great! Congratulations on your achievement! Thank you for taking the time to share your thoughts, even while overcoming the rigors of trail life. Please continue to post occasionally as you readjust and gain perspective on this experience. Good luck as you enter Seminary! Nice post Pen. I have had many similar feelings. Especially, “Did that really happen?” It felt so long some days and now that I am home, I wonder where the time went. One of my last posts on my trail journal might interest you. A few inspirations from the trail so to speak. Take a look if youre interested. trailjournals.com/akamman Best of luck to you in Seminary and in the future. I hope you keep hiking!